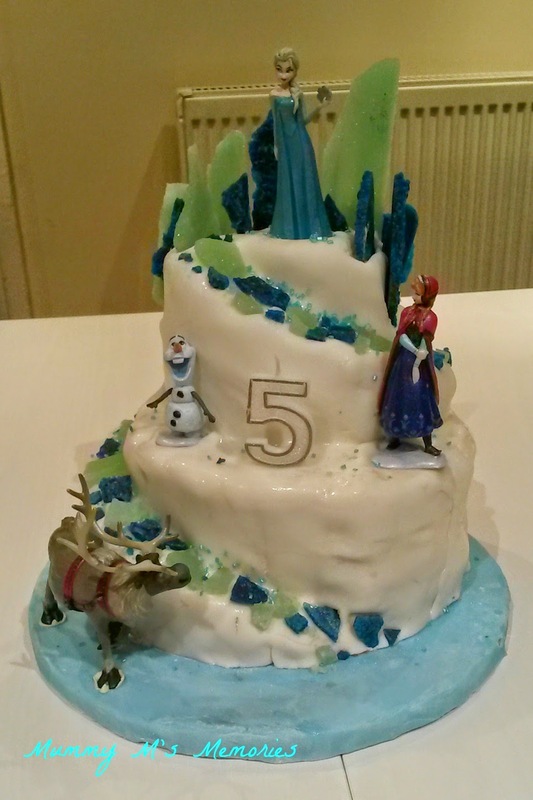 I have had a lot of feedback regarding J's 5th Birthday cake. 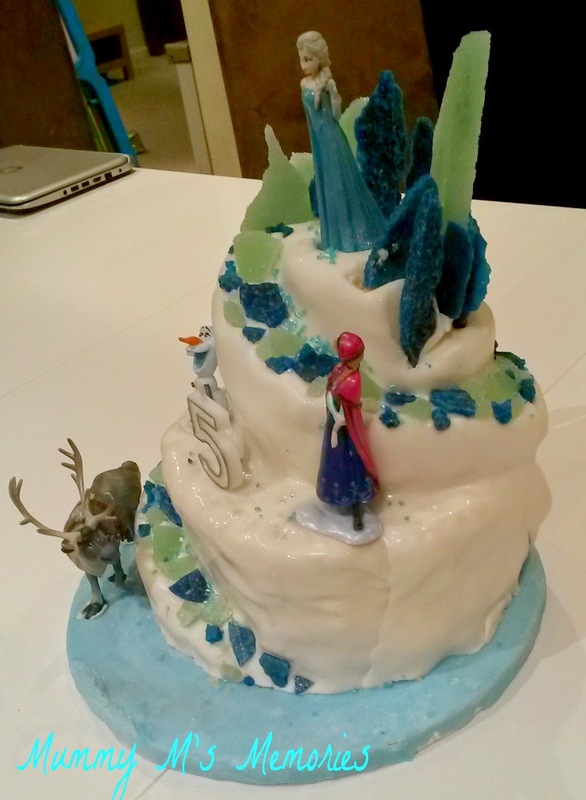 She asked for a frozen cake, but I wanted something slightly more challenging then just a round sponge. 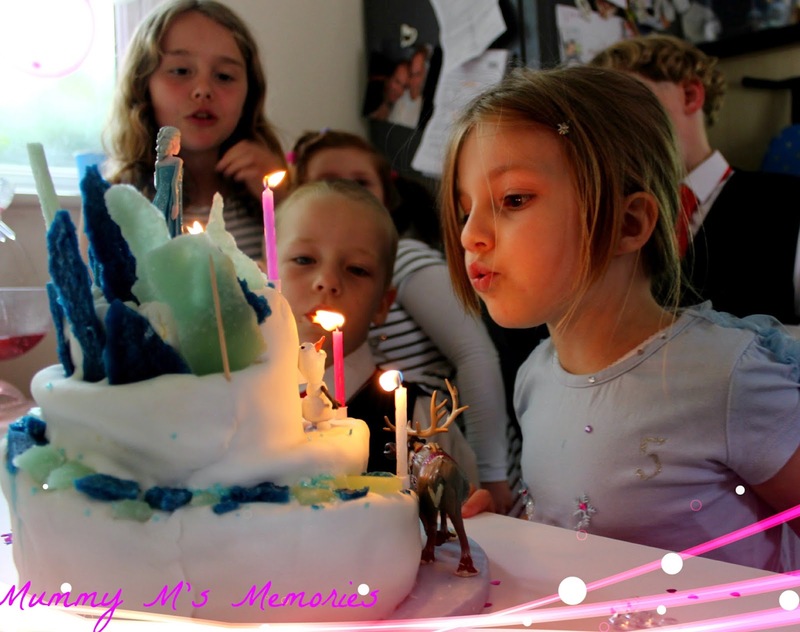 (I only get to make proper cakes for birthdays) I also refuse to buy a birthday cake, as they don't taste as good, and I want my girlies to have something a little different from the 'norm'. However this was much easier then I was anticipating. I am not a professional, and I don't have lots of tools. Its not flawless, but the effect was still a wow one from J. The spirals go all around the cake, not just the front. It is made up of 3 tiers, and a cake board. I bought a cake board from ASDA, so was very limited, and was stuck with a 10" which meant the bottom could only be a 8" middle 6" and top a tiny 4". Once they were baked and cooled, I then wrapped them in cling film and froze them.... yep stuck them in the freezer so they wouldn't crumble as much when I hacked into them. We also cut them in the middle to add buttercream frosting inside too. 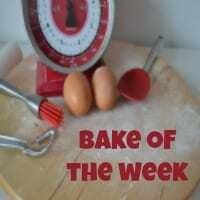 I cheated and used a Betty Crocker frosting, as it worked out more economic then making my own buttercream. 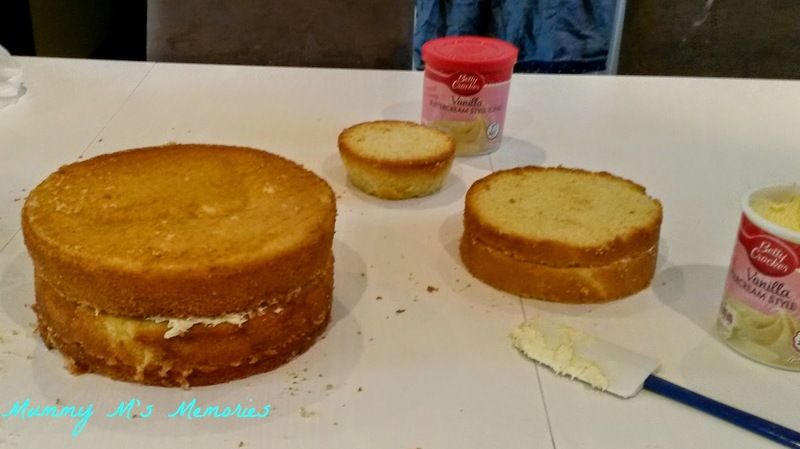 We also used this frosting to add the two bottom cakes together, and to use it to 'glue' the tiers to each layer. I just popped them on top, but after looking at the final result, for a more professional look, I would use cake boards of the same size underneath each layer, with dowelling to stop the cakes squashing. 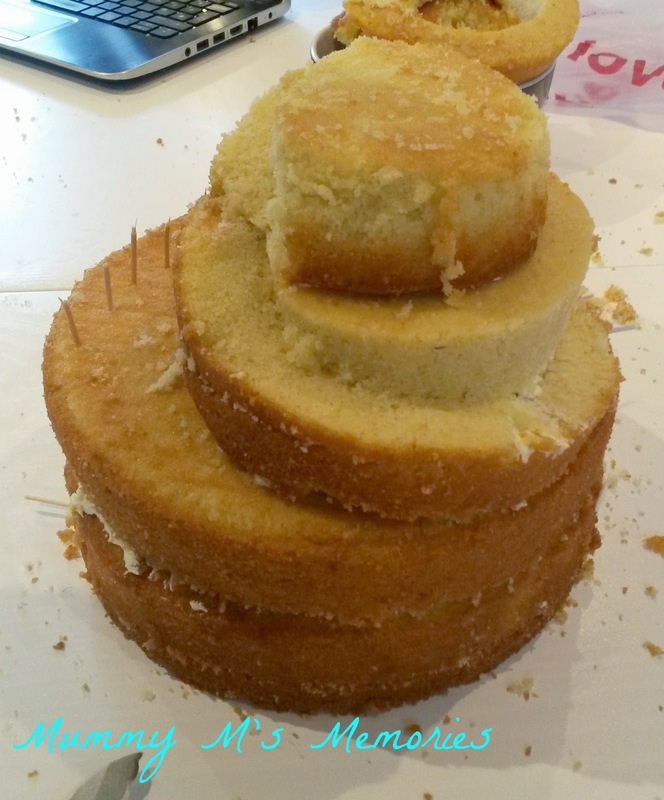 I layered the cake like this, to make it for a natural spiral shape. I then used cocktail sticks to lay out the steepness of the road all around the cake until it reached the bottom. We didn't want to loose to much cake so we made the path thin, so we also marked out the thickness on the tops with cocktail sticks too. I then used a steady hand and cut into the cake from both directions being extremely careful, and this is where the cake being frozen really came into it. As my cakes are fluffy, they would have just crumbled away, but instead I had neat lines, which spiralled all the way around and down. The next job was to put a crumb coating on, so again I used the Betty Crocker frosting. This is where I decided fondant was the way I wanted to go, as I wanted a smarter finish. 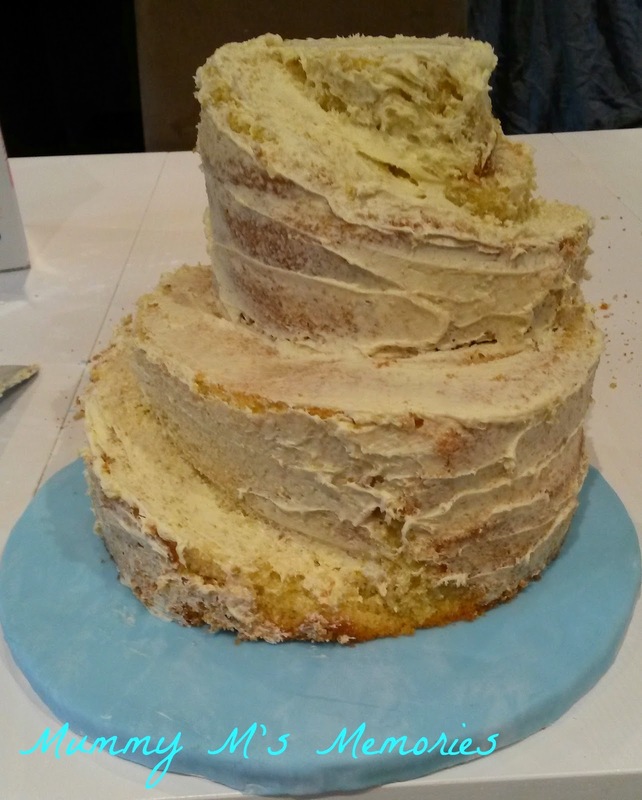 If you want a buttercream icing, once the crumb layer had hardened you would pop the buttercream layer on. The next step I had to ask Daddy M to help me. 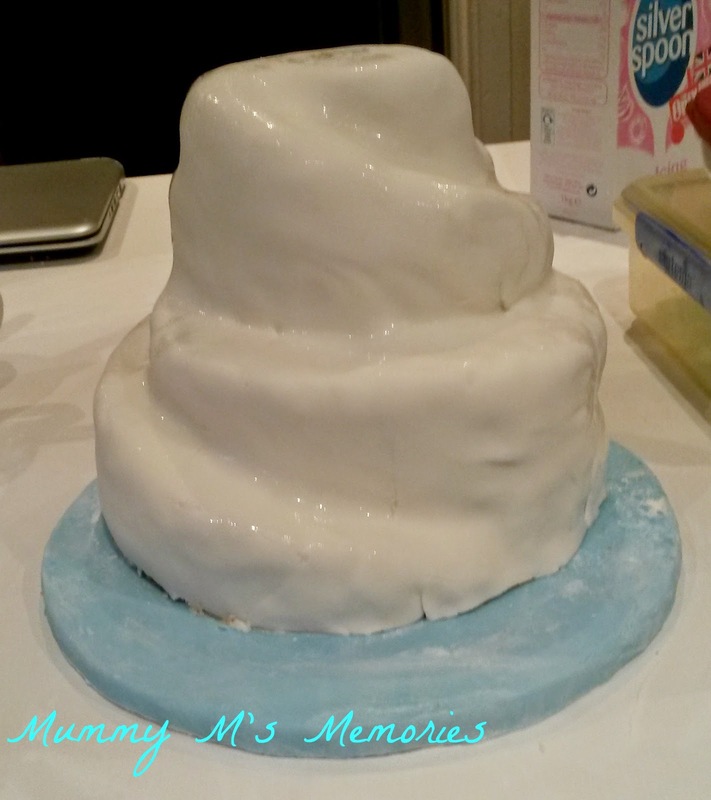 After I rolled out white fondant big enough to cover the whole cake, we then had the challenge of lifting it all, and over to then rub into the places it needed to be, and cut big chunks of the fondant away. This was the trickiest part of the entire cake. and the 2nd pair of hands I would say is essential due to the size of the icing. All in all the icing time took about 90 minutes... this is nothing compared to the time I have spent on previous cakes for my girlies. 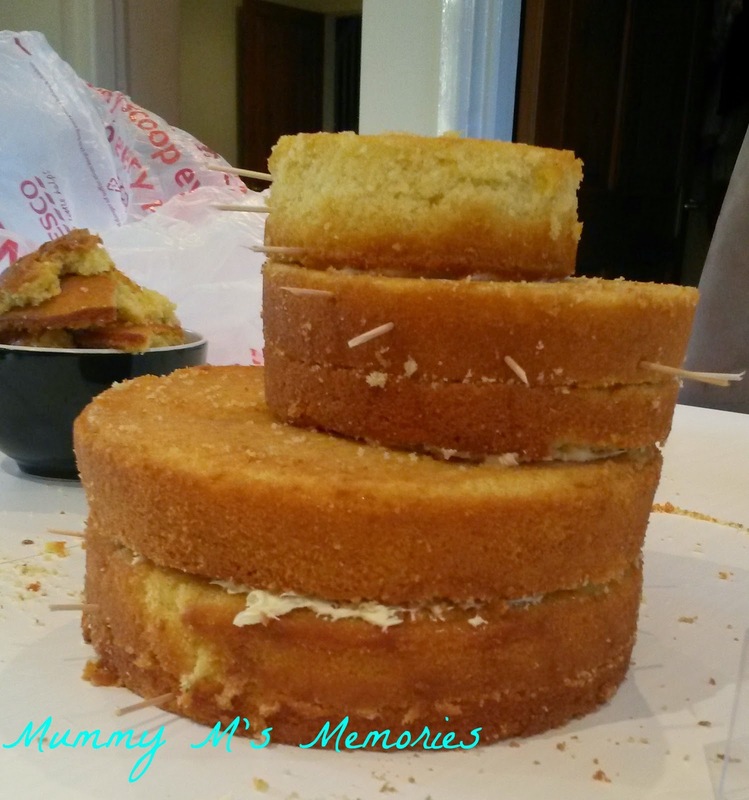 In this photo you can see where the cakes were unsupported and started to squash into each other at the back, I have learnt from this though, and no in future if I am to make a tiered cake, boards are needed. In this situation though, it added to the mountain feel... and it still looked pretty good form the front, even if I do say so myself. What do you call that? The Mountain of Arendelle? I’m not even sure if I got the name right, but you totally nailed the one from the movie. Frozen cakes would usually use Olaf’s character, and that makes yours unique. I see that it’s not easy to make, but your final touches added more character to it. Cheers! Thank you for generously sharing this tutorial. I used it to make my mom a mountain cake with a ski-slope and gondola for her 70th birthday party (we left off the frozen characters but for the most part it was perfect to use as a starting point. THank you! !